[September 21, 2013] While myths about senior executive leaders have been published, they are not widely known. The fundamental reason to list these reasons here is twofold. First, it makes the senior leader more aware of perceptions that may impede organizational success. Second, junior leaders, by learning about them, might not be held back by their own misconceptions. 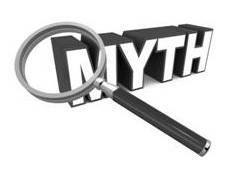 There are many myths about leaders and about senior executive leaders. In my opinion, here are the top four on senior leaders. Education and intelligence make better senior leaders. Toxic leaders are poor senior leaders. Employees are open and honest with senior leaders. Myth #1: It’s lonely at the top. While there is a “distance” between the most senior leaders and employees, this does not mean that senior leaders are not engaged with employees. The most difficult decisions are made at the top but with solicited input and analysis. The most successful key leaders must are physically present (at work and engaged with employees) and not overly distracted by those urgent matters that pull them away from the important employee/organizational issues. Myth #2: Higher formal education and intelligence makes for better senior leaders. Successful leadership is about attitude, not knowledge. Certainly, education and being intelligent helps – but experience on the front line of leadership is what matters most. Research on leadership has found that there are two unifying concepts that all senior leaders have in common: passion for their work and humility. Myth #3: Toxic leaders are poor leaders. There is a corollary myth that says “evil leaders are poor leaders.” Unfortunately, the past is full of both toxic and evil senior leaders who have done bad things. To do so they have many good quality leadership abilities and can produce exceptional results. These abilities can be very effective because, as leaders, they are good at using control, coercion, and manipulation. Such leaders are also exceptionally good at hiding from view those things that make them toxic or evil. Myth #4: Employees are open and honest with senior leaders. Some truth will inevitably flow upward in an organization. However, it is naïve to think that employees will consistently and without bias bring the truth unless there are strong and reliable communication systems that protect them. Predictably, employees do not want to bring bad news to the boss. In part this is because they believe they can resolve the issue themselves or they believe they will be punished as the messenger. These senior leader myths will persist largely due to the performance of less-than-stellar senior leaders. Creating and maintaining a positive work culture (a future blog post) will be the best method of overcoming leader myths.